The miniaturization of medical devices has enabled the development of new approaches for the diagnosis and treatment of human diseases. 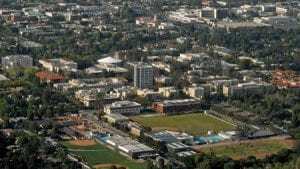 For instance, smart pills are being used to image the gastrointestinal tract, distributed sensors are being developed to map the function of the brain, and microscale robots are being designed to access organs through the bloodstream. Although substantial progress has been made in endowing microscale devices with the capability of sensing their environment, performing biopsies and releasing drugs, a major challenge remains in the way these devices communicate with the outside world. Existing technologies are limited in their ability to precisely determine the location of microscale devices inside the body and communicate with them in a location-specific manner. For example, current techniques based on radio frequency (RF) signals are limited in their resolution and ability to localize multiple devices due to the strong dependence of signal propagation on tissue properties and the close proximity of triangulating RF receivers to the implant. 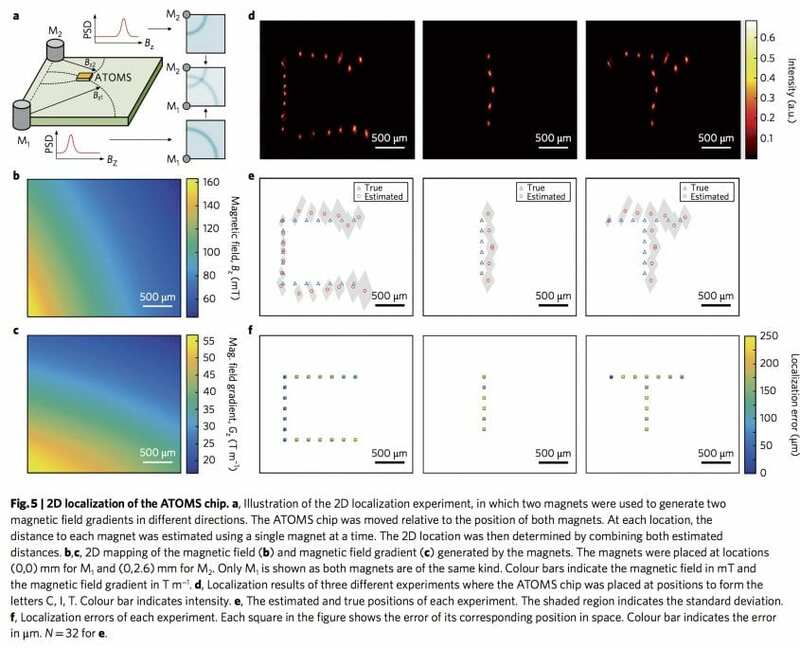 Meanwhile, approaches based on direct detection of magnetic fields generated by devices bearing permanent magnets or coils have a limited detection range11, involve millimetre-sized architectures , and have not been applied at the microscale. Alternatively, device imaging using methods such as X-ray computed tomography, positron emission tomography, magnetic resonance imaging(MRI)and ultrasound are limited by the properties of each modality—such as the presence of background contrast or them use of ionizing radiation—with limited opportunity for information transfer to and from the device. We present an alternative approach to microscale device localization based on concepts from nuclear magnetic resonance. In particular, the magnetic-field-dependent precession frequency of nuclear spins allows their location in space to be encoded through the application of magnetic field gradients. This allows MRI to visualize signals from nuclear spins located throughout a specimen with ~100 µm resolution. 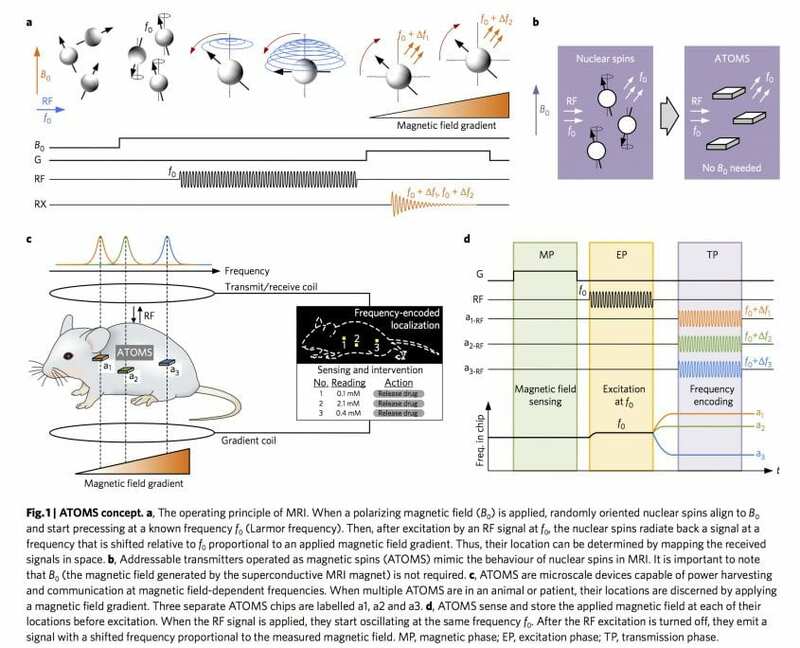 We hypothesized that, by designing microscale devices whose output frequency could shift with the magnetic field, they too could be localized, read out and controlled with MRI-like precision. This would enable the development of indigestible or injectable sensors and actuators whose locations in the body could be pinpointed while they provide a readout of local physiological variables such as pH, pressure, temperature, electrical potential or concentration of certain analytes, or execute interventions such as releasing drugs, applying electrical stimulation or ablating tissue. Critically, multiple devices such as this distributed throughout the body or tissue could be addressed simultaneously. 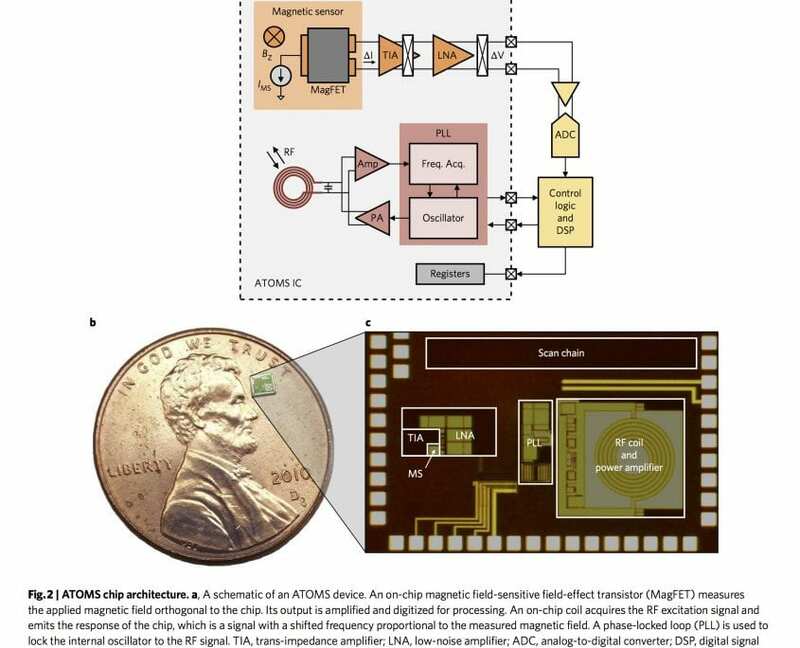 To test this concept, we developed a prototype device using a standard complementary metal-oxide-semiconductor (CMOS) process. Because it operates analogously to magnetic spins, we call this technology addressable transmitters operated as magnetic spins (ATOMS). We characterize the behaviour of ATOMS in 1D and 2D localization experiments, achieving sub-millimetre resolution. 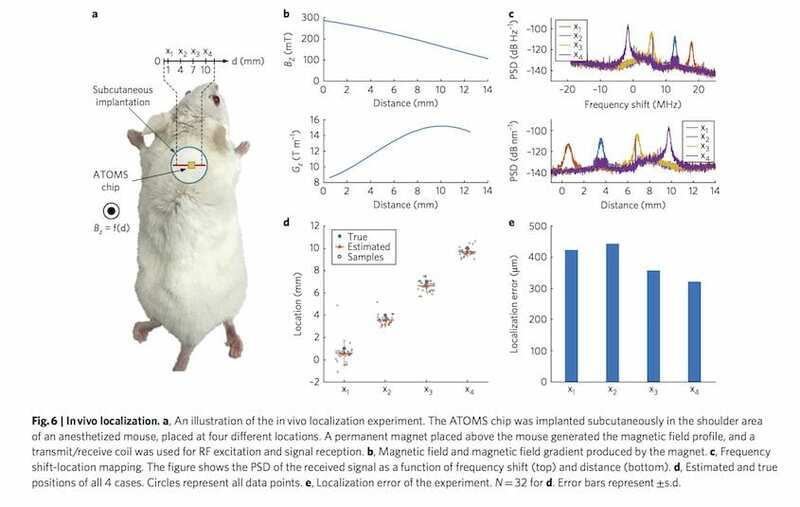 Finally, we demonstrate its potential for accurate localization in vivo. M.Monge, A.Lee-Gosselin, M.Shapiro, and A.Emami, Localization of Microscale Devices In Vivo using Addressable Transmitters Operated as Magnetic Spins, Biomedical Engineering Society Annual Meeting (BMES), Oct. 2017.